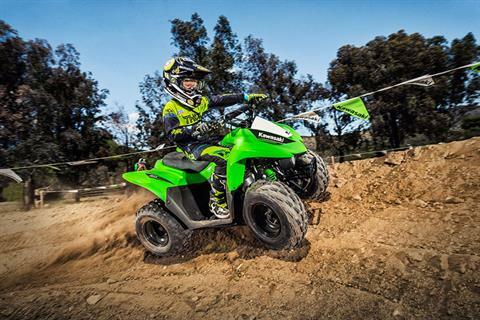 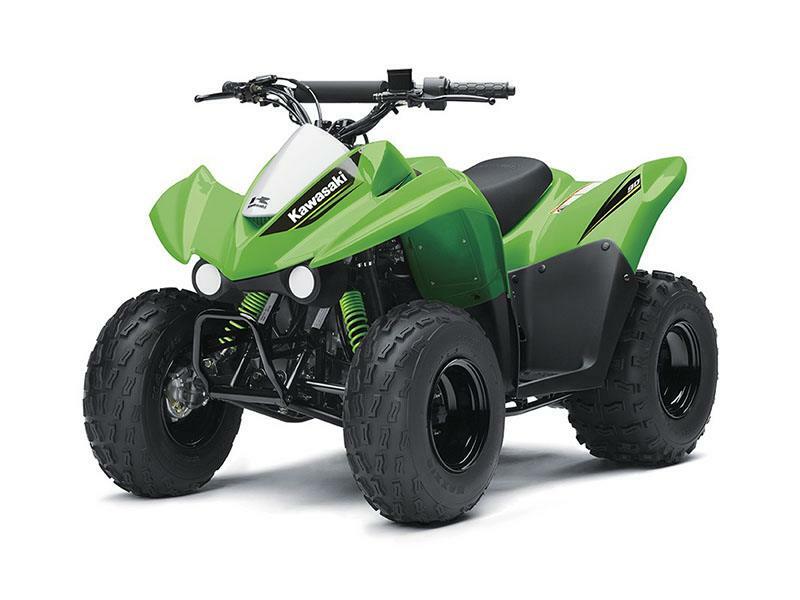 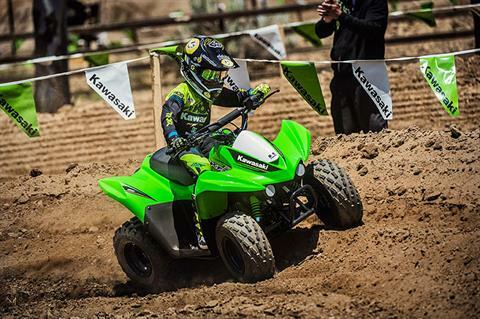 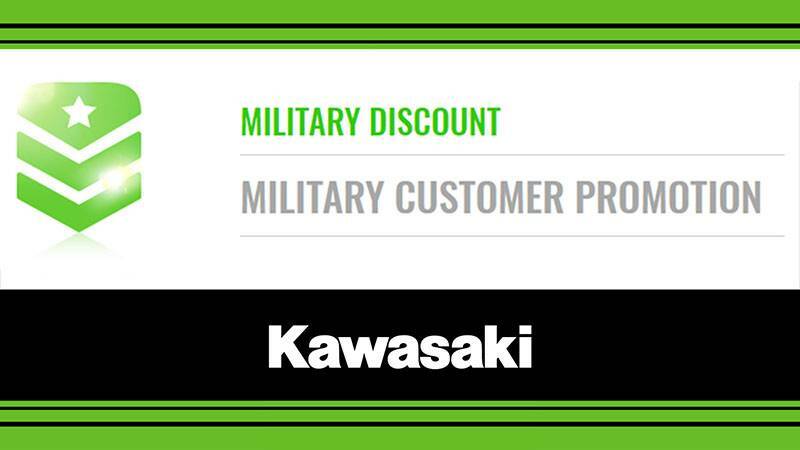 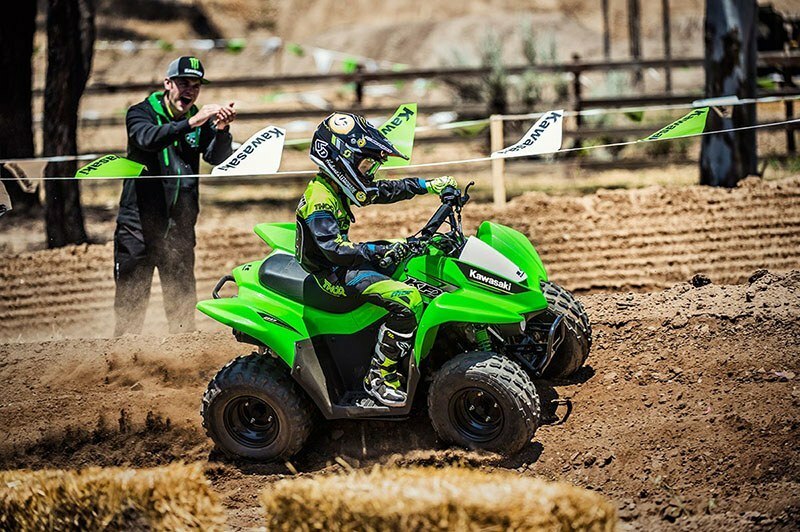 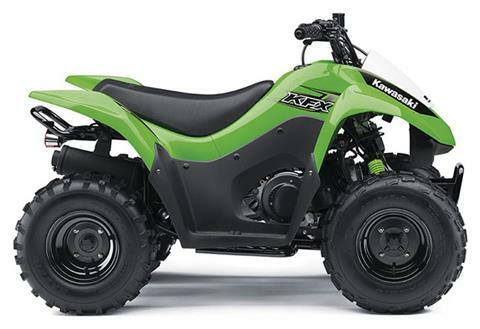 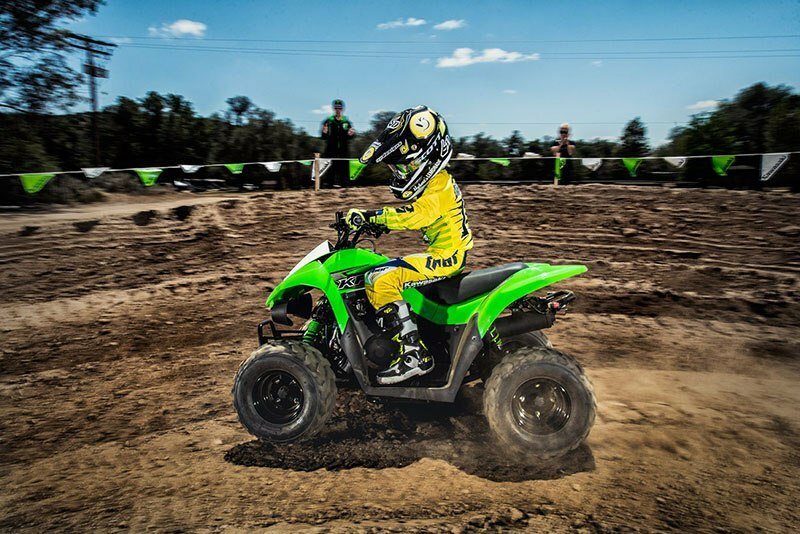 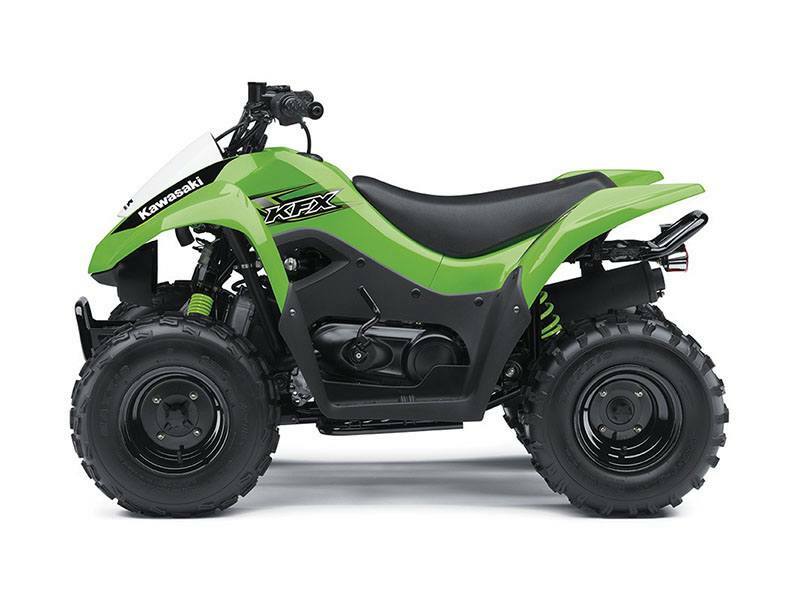 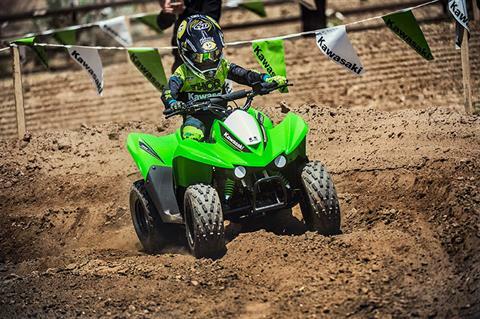 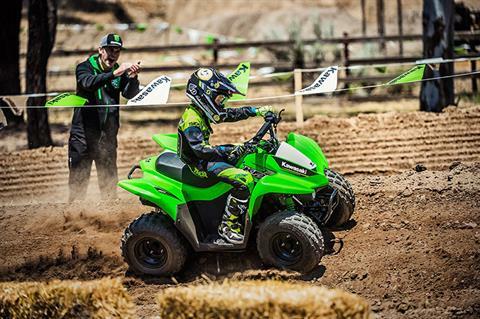 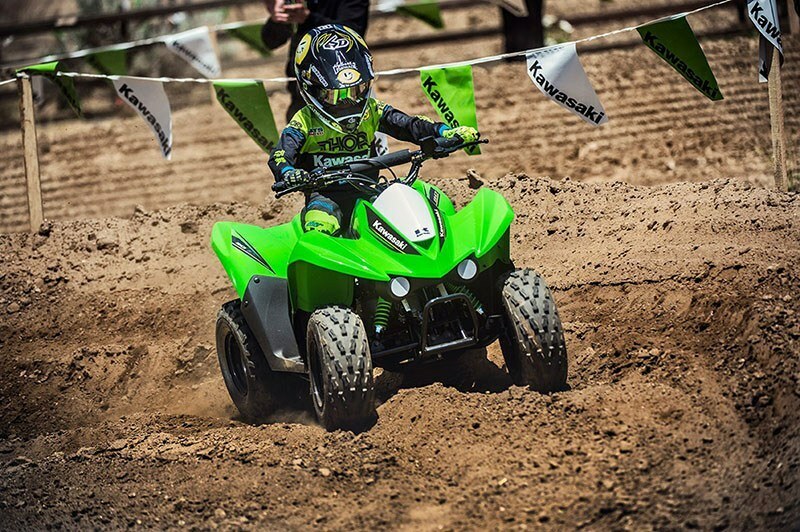 The KFX®90 ATV provides the ideal blend of size and performance for riders 12 and older that are stepping-up from a 50 cc ATV or just getting started. 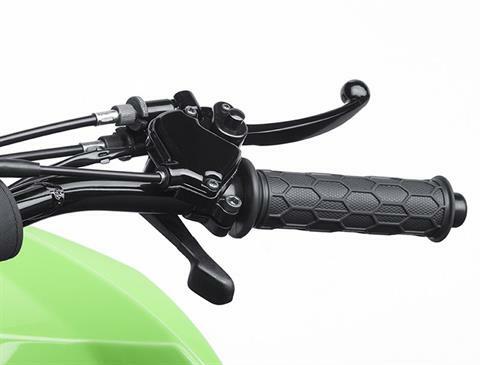 Front - Single A-arm with twin shock absorbers; Travel - 2.8 in. 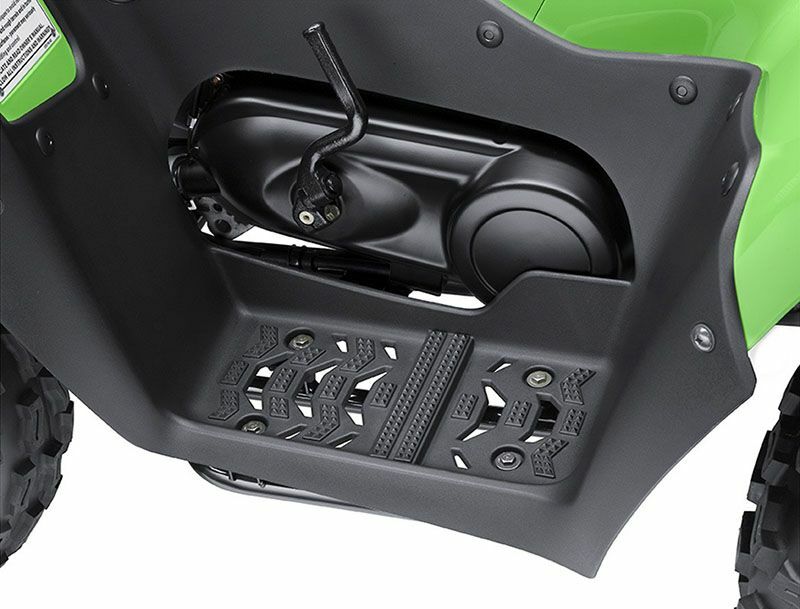 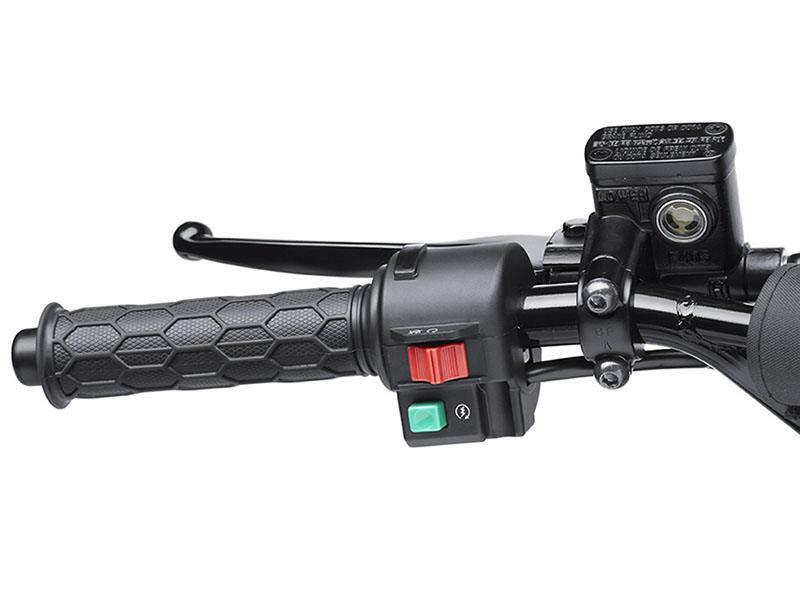 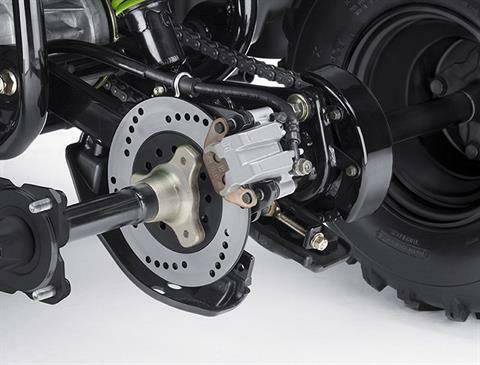 Rear - Swingarm with single shock absorber; Travel - 2.9 in.